For the last few weeks there had been a lot of speculations moving around Samsung's next flagship Galaxy Premier. Now as known Samsung has declared Galaxy Premier official and will reach the hands of Russian customers in late November. Even though from its first look the Galaxy Premier feels as a clone of Galaxy S3 which keeps the heart ticking to know the features of the device. Samsung is climbing heights getting noticed worldwide with their collection of smartphones. The recent announcement made by Samsung for its 30 million Galaxy S3 sales would have boosted the overall production of the firm which is expecting to do a good business with Samsung Galaxy Premier I9260 while their next big thing Galaxy S4 is gearing up to get released in February 2013. Samsung smartphones have been running successfully around the globe. The well planned production and timely execution from the Samsung team has made their products much popular along with its arch rival iPhone. The popularity of Samsung Galaxy range devices are peaking up with more and more customers getting encouraged to own one among them and keep close to their heart. Russia would be the prime target of Galaxy Premier which will be followed by official release in other countries too. Early reports states that the Galaxy Premier I9260 is the revamped version of Galaxy Nexus I9250, released a year ago. 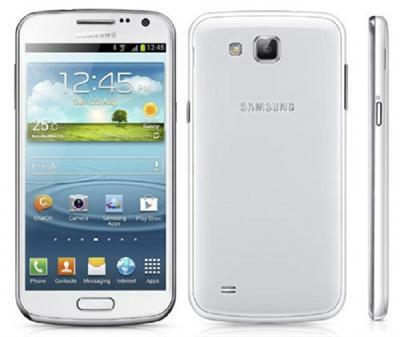 The Samsung Galaxy Premier I92260 smartphone spots a 4.65-inch HD Super AMOLED display with 1280×720 resolution. Powered by a 1.5GHz dual-core TI OMAP 4470 processor and 1 GB RAM, the phone runs on latest Android 4.1 Jelly Bean OS with the touchWiz Nature UX atop. For camera optics, the Galaxy Premier does have an 8 Mega Pixel autofocus shooter and a 1.9 front facing camera which can be sincere while using face to face chat. Speaking about the connectivity options for like Wi-fi, Bluetooth 4.0, NFC and A-GPS are embedded in the phone. The Premier will have some of the early features available in Galaxy S III which include Best Photo, Pop-Up Play, S Voice, Smart Stay, Direct Call, and S Beam. For internal memory, 8GB/ 16 GB storage options are available while the memory can be expanded up to 64GB with a microSD card. The Li-Ion 2100 mAh battery will give adequate time for the customers to use the phone for a substantial time. The Samsung Galaxy Premier I92260 will reach the shores of Russia/Ukraine in late November this year. Later in December or early 2013, the Premier will roll to other countries including US, UK and India. Samsung Galaxy Premier is expected to have an early release in India as there are too much tech enthusiasts who really keep an eye on each device produced by Samsung. Even though there is no official statements regarding the price of the smartphone it is predicted to be $680 and around 36,000 in India. So get ready to welcome the new family member from Samsung which will truly be treasured by smartphone lovers.